Pancit Palabok is a popular and a favorite Filipino noodle dish. Palabok is often served at parties and easy to make. This simple noodle dish is loaded with shrimp sauce and different toppings like shrimps, ground pork and chicharon. I was asked what is the difference between Pancit Palabok and Malabon so I am sharing what I remember reading before. 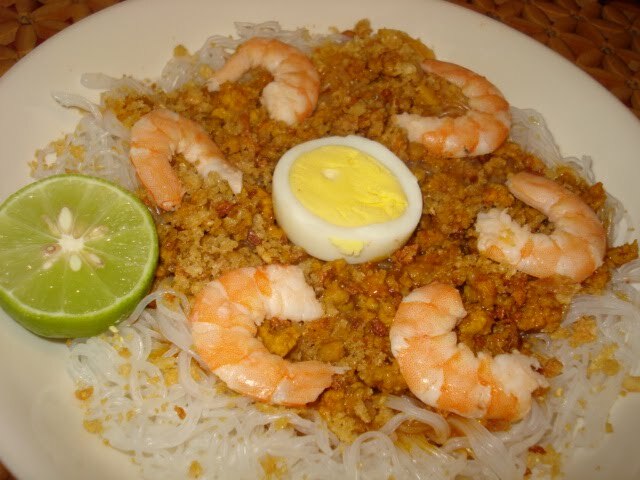 With Pancit Palabok, thin noodles is used and the sauce is served on top of the noodles. 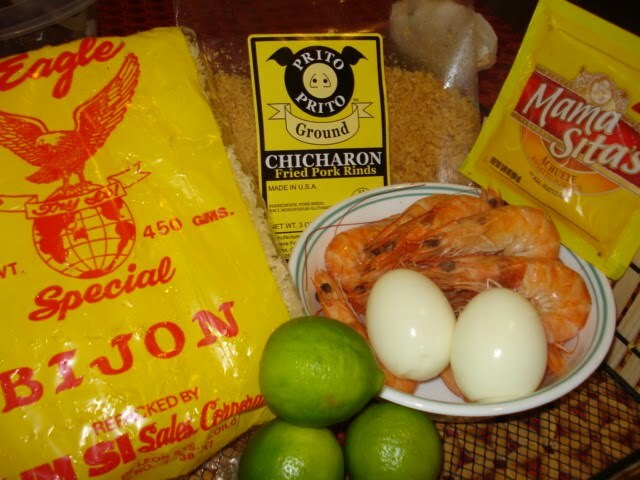 The toppings used are usually shrimps, ground pork, tinapa flakes, tofu, hard boiled eggs and chicharon. With Pancit Malabon, thick noodles is used and the sauce is already mixed in with the noodles and the toppings are mostly seafood. Pancit Palabok is my favorite of all Filipino noodles and the favorite snack among Filipinos. Check out this Instant Pot Duo, my favorite kitchen tool. Click on the picture to see more. Bring water to a boil. Once the water starts boiling add the noodles and cook until noodles turn soft. Drain noodles and set aside. Boil shrimp in 4 cups of water. Remove shrimp, peel and set aside. Set aside remaining shrimp broth for later use. In a sauce pan brown garlic in 2 tbsp. cooking oil. Remove garlic and set aside. Brown ground pork using the same cooking oil where you brown the garlic. Add shrimp broth to the pan and season with fish sauce, salt and pepper. Stir in cornstarch and simmer. Stir constantly until sauce thickens. Remove from heat and set aside. In a serving plate place the noodles and pour the sauce over it. Sprinkle crushed pork rinds, sliced shrimps and fried garlic. Arrange slices of eggs on top and serve with slices of lemon. Enjoy!